SSRIs are among the most popular classes of antidepressants out there. How do they work, how well do they work, and what side effects may they cause? When SSRIs were first introduced, they were revolutionary — not only is this class of antidepressants generally very effective at relieving the symptoms of depression, it is also much less likely than some other antidepressants to cause debilitating side effects. It's no surprise that selective serotonin reuptake inhibitors are among the most popular class of antidepressant out there today. If you, too, have been prescribed an SSRI, you'll want to know more about them. How do SSRIs fight depression and improve mood? And what should you know about their possible side effects? Serotonin is a neurotransmitter — a kind of brain chemical that transmits messages in the brain — with a variety of functions, relating to mood, memory, learning, and reward. "Reuptake" refers to absorption, and "inhibitor" means blocker — so put very simply, SSRIs prevent the absorption of serotonin within the brain, making more of this neurotransmitter available. "Selective" means that SSRIs specifically target serotonin while leaving other neurotransmitters alone, which is one of the reasons they cause fewer side effects. While depression is a complex, multifaceted illness that isn't caused only by low serotonin levels, research has shown that SSRIs can give your body the help it needs to begin recovering from depression. This covers diagnoses that include major depressive disorder, persistent depressive disorder, and postpartum depression. Increasing serotonin levels seems to be its main mechanism of action, though the exact ways in which this class of antidepressants works is still not completely understood. SSRIs are also prescribed to help people with other conditions, including anxiety disorders, panic disorders, post-traumatic stress disorder, chronic pain, and obsessive compulsive disorder. Fluoxetine, the first SSRI to be introduced, also sold under the brand names Prozac and Sarafem. It will probably come as no surprise that research has found SSRI antidepressants to be more effective than "treatment" with a placebo. Any antidepressant, of any class, has actually been shown to have about a 50 percent chance of helping any given individual with depression feel better. How do SSRIs measure up to other kinds of antidepressants, though? Some studies have found tricyclic antidepressants to be better at offering relief from the symptoms of depression, while others have concluded that TCAs and SSRIS are equally effective. SSRIs, however, have fewer side effects, which translates to a higher chance that patients will keep taking them. Since one must, obviously, take an antidepressant for it to have the chance to be effective, that means a lot. SSNRIs, another class of antidepressants, have also been shown to work just as well as SSRIs. One study identified five antidepressants that are most likely to work well while also being well-tolerated — three of these five were SSRIs: escitalopram, paroxetine, and sertraline. Sexual dysfunction — both a lowered or non-existent libido and erectile dysfunction can fall under this heading, and though studies reveal that only around seven percent of patients will report this to their doctor themselves, more like half will admit to sexual changes if asked. Weight gain — after initial weight loss, a subset of people taking SSRIs will subsequently gain weight. It appears that citalopram is least likely to cause this side effect. Some people will experience sleep disturbances while taking an SSRI. Blurred vision is another possible side effect. Some people will feel dizzy, nauseous, or even vomit. A subset of people taking SSRIs will also feel agitated and restless. Many of these side effects will subside over time, as you continue taking your SSRI. If it doesn't, please make sure to discuss it with your doctor. 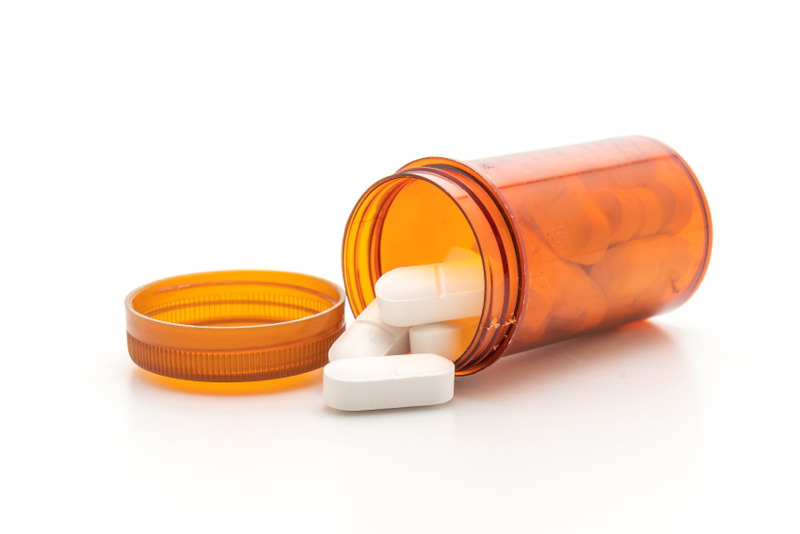 Contraindications: Who shouldn't take SSRIs? While SSRIs generally have a lower risk than some other antidepressants of interacting with other medications you may be taking, it is always important to let your doctor know exactly what other drugs you take. This includes over the counter medications. If necessary, your doctor will either prescribe you a different antidepressant, or see if it is possible to switch your other medications. Women who are trying to conceive, pregnant, or breastfeeding aren't generally advised to take SSRIs because it is not clear whether this is safe, but your doctor will determine whether the advantages are greater than the potential risk on an individual basis. Children and teenagers, meanwhile, may be prescribed SSRIs if this is deemed beneficial — but with caution. The same holds true for people with underlying conditions like diabetes, kidney disease, and epilepsy. As a patient, you're — fortunately — not responsible for determining whether a prescription medication is safe and suitable for you. You do your part by disclosing other medications you take and letting your doctor know all about your medical history; your healthcare provider does the rest.